A day doesn’t go by without us being bombarded by Apps. Sign up and get a free App for your iPhone. We have more Apps on our phones than we can use. Sure they may be handy at some stage in the future i.e. next week ! Over the past while, I’ve been horrified that many people, lawyers included, are saying ‘I’ve an App for that’… when discussing the law. Yes, I admit, some are educational but I am referring to those that are advocating that you can look after your own divorce, house sale or purchase and other such important matters which hugely impact on your life. Why go to College and study law; then spend time in a Law School to get your Practicing Certificate? Well according to these geniuses, no need at all. Sure save your money and use the App. They ask you why you are wasting money on these legal professionals when you can just use their App. Unfortunately, it would appear that many people are being taken in by this dangerous nonsense. While I for one respect newly qualified lawyers, whether they be at the Bar or from the Law Society, they have their place in the overall legal framework. What most don’t have, is experience. That is only gained from many years of practice in their chosen fields. This experience is what comes into play when taking on a case for a client. The client deserves to go to law with experienced lawyers who have their interests solely at heart. Most spend many hours working up the case for their client and the full weight of their experience is called into play. Every client is unique. Their circumstances are not like any others. There may be similarities e.g. they have four children and have been married for twenty years. But that is where the similarity ends. To act as though two cases are the same would, in my opinion, equate to nothing short of professional negligence. But I cannot afford thousands of pounds to employ a lawyer, or a team of lawyers as can be the case. Well, you cannot afford not to. How much did you spend on your wedding? That was a big event and a very important day for you. You spent what you could to celebrate in style. Yes, later you cut back on some items, but you didn’t do without what was important on the day. Well, your divorce costs should be thought of in similar terms. I am not suggesting you go to one of the Big Law Firms. They have access to the same Family Law Barristers as your local High Street Family Law Solicitor. Why people go to these firms is quite beyond me. In my experience,these firms are dealing with Corporate matters in the main and are not concerned with the day to day legal matters of the ordinary man and woman. They may take on your case if you’re doing your business with them or else if a relative of yours is. Your High Street Family Law Practitioner will give you a good personal service and instruct the appropriate barrister to get you through this difficult time. I come across lay litigants a lot more today than I have in the past. While I respect the individual trying to do his own case, I do see the error of their ways. It is a nigh impossible task. To give credit where it is due, many Judges go out of their way to help such people. That alone will not help them get the justice which many deserve. So, when you download that magic App that will get you painlessly through your divorce or other pressing legal matter just remember… Law without a Lawyer is a fool’s paradise. LegalEagleStar , Thursday , 7th. August , 2014 . Could the end of the High Street Solicitor be…. around the corner ? I won’t bore you with further references to the Survey except to say that it is of little or no assistance to the average solicitor who must continue to work hard to etch out a living. Gone are the days of some 50 years ago when the fact of qualifying was enough to guarantee you a certain standard of living. Today the legal professions are not restricted to the sons and daughters of solicitors and those preferred members of society. They are made up of the sons and daughters of the working man who worked hard, night and day, to give their children a chance to pursue a career. The ability to study law was once the preserve of the chosen few. Today lawyers work hard to pursue the rights of their clients regardless of ability to pay and suchlike. That was not always the case. I should, in balance, say that there was always some good people in the profession who acted in such a manner but I believe that they were few and far between. Over the past couple of years I’d had many a chat with fellow lawyers concerning the future of our profession. Many are close to closing shop. Some time ago, many said, they had purchased the building they worked from with hefty mortgages and now find the cost of repayments are putting an undue strain on their practices. The thought behind this action was to reduce the ever-increasing cost of renting rooms and also to provide for a pension for themselves when they retired. This scenario is not uncommon. It would appear that it is only time for many, before they must cease to practice. The inability to access funds from the Banks among other things has had catastrophic results for them. At a time when they need guidance and assistance from their professional body, they feel ostracised and alone in their fight for survival. Even the need to attend seminars to gain CPD points, while not cheap in itself, has them away from their practices when there are few enough hours in the working week as it is, to complete their legal work for their clients. It is sad the number of good lawyers, both solicitors and barristers who have had to cease practice over the last few years. Not only is it sad, it’s an absolute disgrace. The loss of these good people is being felt by those of us left to continue in practice. Little or no concern has been expressed by the Professional Bodies and one must wonder whether a return to the elitist ‘closed door’ profession of the past, is the prefered way forward for them. LegalEagleStar , Monday , 10th December , 2012 . Note: The No Solicitors Graphic used above is done so with a sense of humour as it is American and has a non-lawyer meaning. In the 1980s a meeting of ‘Elite’ politicians took place with the Insurance Industry. ( I could name this Group but will refrain from so doing.) Many such meetings were already happening concerning the banks but this one was composed essentially of the same participants. At this meeting concerns were raised by the Insurance Industry people regarding the changing face of the legal profession. With pressure on the Government to allow lawyers advertise their firms, concern was expressed that if the American Model was followed that profits would take a severe hit and something had to be done to stop this from happening. The lawyers present, and in particular a leading Law Society member expressed the view that the profession would not be allowed go this route and he would make sure that anyone trying to do so would be severely dealt with. Matters were initially laid to rest but it was not long before the ‘new breed’ of lawyer emerged which challenged those ‘traditional’ types. ( I am not referring to those that didn’t advertise. Just a cynical reference to those that controlled the profession.) Then followed more meetings with the interest group and it was not long before they hatched their own plan to deal with the ‘new breed’. 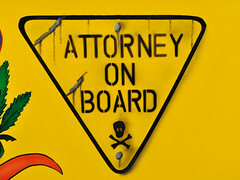 Juries were removed from Personal Injury Cases in 1988. That of course wasn’t enough as it was decided that Judges could not be trusted to reduce awards. It took them all of fifteen years to appoint Mary Harney to attempt to introduce a ‘Lawyer Free’ Personal Injury Assessment Board which in effect continues to this day. The reasoning behind this was not, as stated to assist and help the Citizen to get justice in their cases, in a speedier fashion, but was to kick lawyers out of the system. Sure, the Government had the interests of the citizens at heart. It was those greedy lawyers who ripped the citizen off. Nonetheless the ones to benefit were the Giant Insurance Companies. Thankfully the Courts subsequently found it unlawful to exclude lawyers from dealing with such cases. Today the Insurance Industry spend Millions of Euros each week in expensive television campaigns which denigrate the integrity of the citizen, suggesting that they are crooks ripping off the system. Strangely enough, no mention of the dreaded greedy lawyers in their current advertising campaign. No doubt though they will be the target of a future, more enhanced campaign. On the family law front, divorce was being heralded as the new way forward. Having dealt a blow to those personal injury lawyers, it was not long before the mantra changed, slightly. We want Divorce and Now was penned but there was an addition to the narrative. We are entitled to Divorce and as a right, we shouldn’t have to pay for it. These chants didn’t fall on deaf ears. (I am not in any way condemning Legal Aid here, a right myself and many others fought hard for.) Those same politicians targeted ‘Divorce Lawyers’ as the scum of the earth. It would seem that it wasn’t just the ‘new breed’ of Personal Injury Lawyers who would be the target of their venom but now the Family Law Lawyer. When the dreadful lawyers involved in Family Law became the prime target (I exclude Mr Shatter and other such elitist Firms here), we all started receiving documentation regarding mediation. This was the way of the future we were told. In England there had been a move by some lawyers to become involved in the mediation process and there has been a drive in Ireland in the recent past, to mediate as opposed to litigating family law matters. Let me just comment that the work of the lawyer on a daily basis is not what is widely believed. Yes, we issue proceeding to protect the interests of our clients but then meet with our opposing number to try to see what common ground we may have. Many issues are resolved this way. Other matters that are in dispute will be litigated on. The time of the Court is not wasted on matters that are not in dispute. 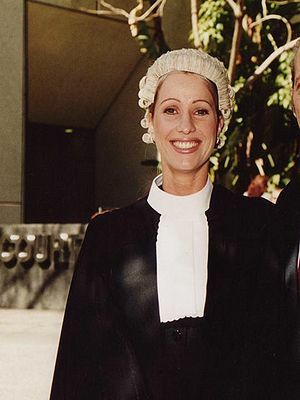 Mediation is part and parcel of the daily work of the lawyer. Yes, it’s paid for by the client, as is mediation. Now we are told that lawyers should be taken out of the equation and let the mediator do the work. Right, so you pay the mediator instead. Then when the process is complete you attend at the office of your lawyer for advice on what had been agree. Well, in my experience the mediated agreement is far from complete and I’ve yet to see a mediated agreement which I couldn’t have done a better job on and been part of the whole process. Remember you still have to go to Court to get your Divorce, Judicial Separation or suchlike. I know this is controversial but I’m not convinced after my more than 30 years in practice that mediation is the way to go in the majority of family law cases. So, law without a lawyer is the current trend. Just be careful for what you wish for, because a small group of elite politicians, bankers and Insurance Companies are driving this agenda and it is not for the benefit of the Citizen. The ‘new breed’ of lawyer deserve your support. Remember it is you they act for and your interest alone. And what’s refreshing in this day and age is that they will not be bought off. The political elites are in the ascendancy at the present time and becoming more dangerous by the day. Our current Minister for Justice ,who has a distinct distaste for the current ‘independent’ bar wants to do away with the profession as we know it and have a new legal profession which is answerable to him, as Minister for Justice. While I’m no lover of the current Law Society model which is unrepresentative of me and I have told as much, I do fear that under the direct control of the Minister for Justice that my independence will be lost and I will be unable to represent the interests of my client without the State looking over my shoulder and overseeing all my actions. This is not what an independent legal profession is all about. For too long have the Law Society acted only for the elite within the profession and have been unrepresentative of lawyers who acted, not for the Corporate sector but the citizen. They have allowed the elites among them progress at the expense of the grass root solicitor within the community whose sole concern is protecting the rights of the citizen. The loss to the profession of these excellent, and mainly young members, is an absolute disgrace and in years to come, will be regretted by many, when too late to rescue our dying profession. LegalEagleStar , Thursday , 6th. September , 2012 . Shatter’s Legal Services Bill spells doom for the young Junior Bar and protects the Elites to the detriment of the Citizen. I have spent some time investigating the effects of the proposed changes in legislation by Minister Shatter and discussed same with several members of the Irish Bar. It was only after speaking with a young junior barrister that I realised the full impact of what will in fact take place. The article that follows has been written by a young female barrister and gives an insider’s view of what the reality of the changes will mean in practice. It is clear to me that Alan Shatter certainly did not have the interests of the Irish Citizen at heart when he set about drafting his proposed reforms. While those that know me are well aware on my views on the Troika and their suspicious agenda, I feel that the implementation of the proposed reforms will undermine the practice of law in this country to the detriment of the citizen and should be opposed by all right thinking citizens before it is too late. Beware of the Elites and their hunger for power and control of the citizen. Don’t say you haven’t been warned ! The Irish legal profession has always relied on the essential requirement of being a completely independent profession, the new Legal Services Bill completely undermines that notion. Indeed it would seem that it is Minister Shatter’s personal agenda which is at the core of this new bill. An agenda which undermines the core of the Irish Bar; independence. The Bill comes about as a requirement under the EU/IMF bailout and is said to be a necessity in the profession. While it is acceded that some reform in the area of legal services is both needed and welcomed, both by the Bar Council and indeed the Law Society, the Bill in its proposed form goes far beyond the proposals presented both by the Legal Costs Working Group and the Competition Authority as well as going completely beyond and even against international principles in regulating the legal profession. The public are being wrongly informed that this Bill will reduce costs for the consumer when in fact, the opposite will occur. The ‘independent referral bar’ is an equal opportunity workplace, based in the law library where barristers are sole traders. If the idea of barristers forming partnerships with other barristers, solicitors, tax accountants etc come into place, the independent referral bar will be lost forever. As a Barrister in the early years of practice, the idea of barristers going into such partnerships is a frightening proposition. Many colleagues with years of experience and established practices will have people lining up to form partnerships with them but many young practitioners wont have such luck. Such partnerships would likely divide the legal profession even more in that the big firms would go into partnership with several established, highly ranked and busy practitioners and create a sort of monopoly, not dissimilar to the US financial sector, and look what happened there. Smaller firms would find themselves in significant difficulty trying to complete with such large firms and while the bar in its current form is accessible to all, the proposals make access to barristers and access therefore to justice more restricted. The proposed changes would create a barrier for those people who wish to join the profession and indeed those younger practitioners wishing to stay and establish themselves within the profession. The UK have a system known as chambers. 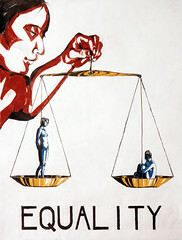 In the English Bar Council’s 2006 Report, only 17.5% of people graduating from the Bar would obtain a place in chambers. This stage is known as pupilage (similar to what is referred to as ‘deviling’ in this jurisdiction) so this system, if brought about here, would restrict access to the profession even further. It is difficult in the current economic climate to establish yourself as a self-employed person in any area of work, not least the bar. However, the current system, while it is competitive and challenging, what it provides is an equal opportunity for every person who has qualified, a chance to make it in the profession. A chambers type system, like that which exists in the UK, would see several partnerships consisting of a select few barristers and which would in return be linked to the large firms and therefore increase costs rather than reduce them. Young barristers frequently take on cases on a pro bona basis for several reasons, experience, interest of justice etc but also to establish relationships with solicitors, an obvious essential in creating a practice and living for yourself at the bar. A young barrister, if lucky enough to even get in a chambers or partnership, would not be able to take on such work without the approval of a higher power. This cannot be said to increase access to justice and reduce costs. The barrister is restricted in taking on the work and the consumer cannot then afford to take the case. While I see these changes from a young practitioners point of view, these partnerships would also cause serious problems for the consumer and access to justice from their point of view. 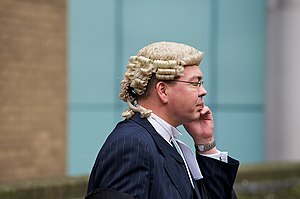 Should they not be able to afford the sometimes inordinate fees which these larger firms charge, they in effect, cannot have access to some of the more established barristers or barristers who have an expertise in a certain area, as they will be in these partnerships. In the current system, whether you go to a large or small firm, if you request a particular barrister for whatever particular reason known to yourself, if they hold themselves out as an expert in a certain area, they must take on your case. The Bill brings about new levies for practitioners, another cost which will impact the small firms and young barristers. The new structure will bring about a situation where barristers liability insurance will be more specific as opposed to general as it is in its current form. As a young barrister, you take work where you can get it and you pay a general insurance amount which covers all areas. The new proposals could change that and your premium could go up depending on your areas of practice and therefore you would have to turn down work, which could be a new area and therefore a new opportunity for you, because you haven’t got insurance to cover you in that specific area. No young barrister would ever or should ever have to turn down work. A huge issue for the profession in general is that it will effectively be governed entirely by the Government or, more specific, the Minister for Justice, therefore removing the word independent from every area of the legal profession. The proposed Legal Services Regulatory Authority (LSRA) would be the regulatory body which would contain eleven members, seven of which would be entirely Government appointed. Only four from the Bar Council and Law Society. Practitioners would pay for this and the Government would run it. The LSRA would and must refer to the Minister at almost every point or hurdle. The ‘separation of powers’ which is at the core of the Irish Constitution is in serious jeopardy. Justice must not just be done, but be seen to be done. The former Chief Justice Ronan Keane recently stated that regulators of the legal profession must not only be seen to be independent but be truly independent in every aspect, the Legal Services Regulation Bill completely “Shatters” that notion. Reference is made to the Article “The Legal Services Regulation Bill”, Shelley Horan BL. The Bar Review, Volume 17, Issue 1, February 2012. LegalEagleStar , Friday , 16th. March , 2012.